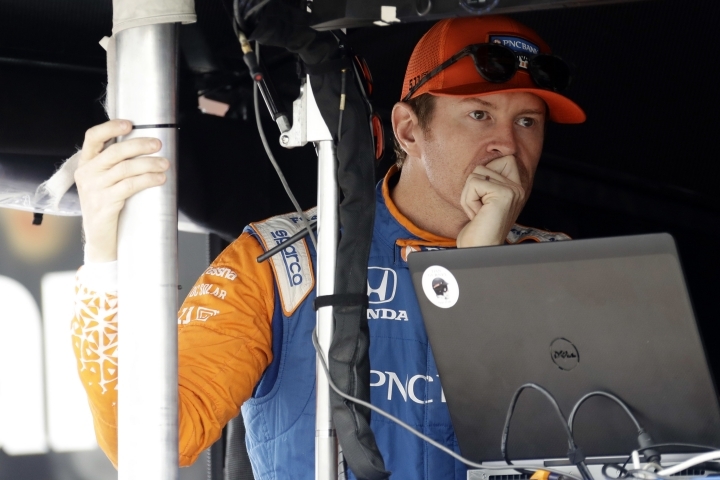 LONG POND, Pa. — Scott Dixon has been about flawless as he chases his fifth IndyCar championship. 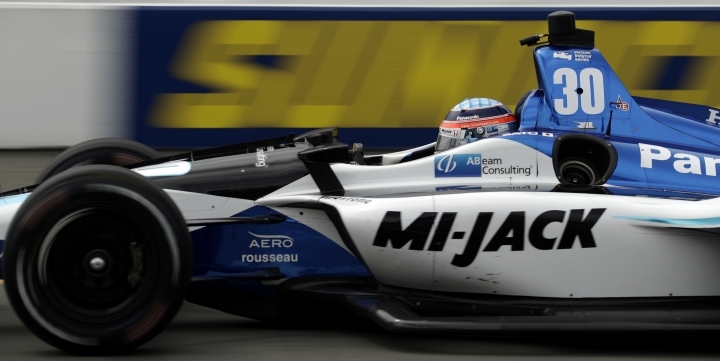 Days after signing a contract extension with Chip Ganassi Racing, Dixon had one of his worst qualifying performances of the season. He starts 13th on Sunday, well behind his closest championship contenders. "I need him to have a bad run and I need to have a good run," Power said. 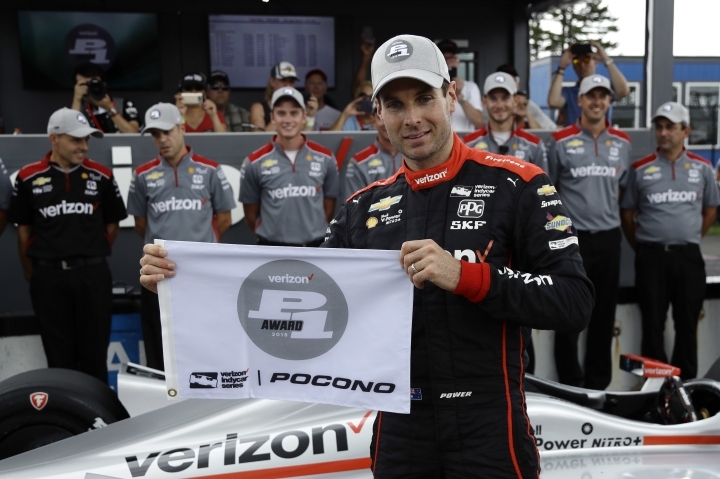 "One, two for Team Penske. 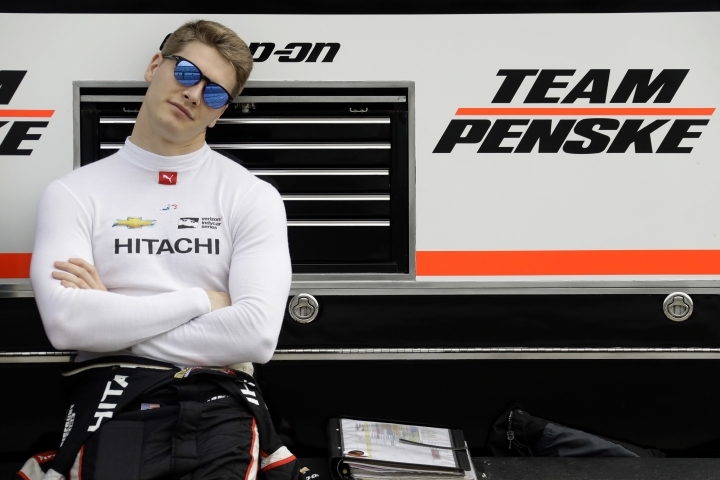 You can't be mad about that," Newgarden said. Rossi starts third for Sunday's 500-mile race. Dixon isn't in any major trouble — though he's a bit more at risk early at getting collected in a wreck in front of him — and starting in the middle of the pack hasn't hindered him much this season. He started 17th and finished fourth at Phoenix and started 18th and finished second at the Grand Prix. "The car bottomed out somewhat there in the first lap, so I'm not sure what happened," Dixon said. "It is what it is though and the car feels comfortable. It's a long race tomorrow and we'll have to deal with traffic and try and get to the front." Power said it was "cool" to match Foyt. 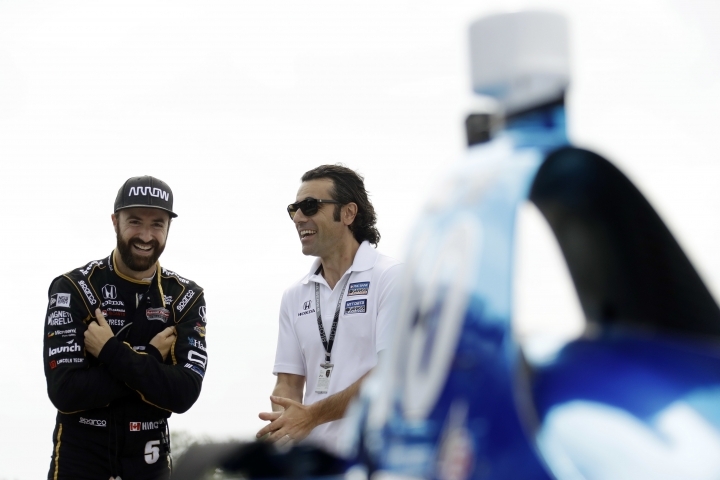 Andretti leads the way with 67 career poles. "It is possible to reach that," Power said. Two-time Formula One champion Fernando Alonso will leave the series at the end of the season, and a move to IndyCar remains on the table. Alonso finished 29th in his only IndyCar race in the 2017 Indianapolis 500. He'll likely test in a car before the end of the season. 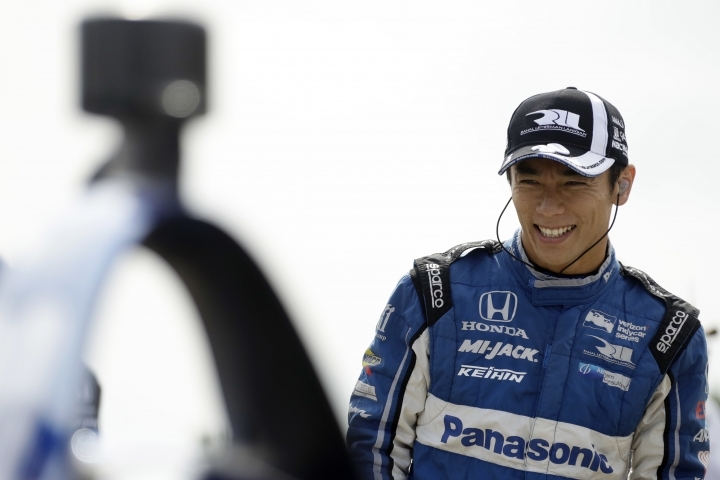 "He has shown that he can be very competitive right off the bat, and it would be great for IndyCar if he were to decide to drive here full-time after his F1 career," said Art St. Cyr, president of Honda Performance Developments. "Having Alonso as a driver would be an obvious benefit for any team or manufacturer." "I think it would be great for the series," Power said. "It would be fantastic if he came. Everyone in the series is happy to see him come because it's good for the series. He has a huge following." Alonso could have some championship company if he races at Indy in '19. Tony Stewart, the retired three-time NASCAR Cup champion, is considering a return to the Indianapolis 500 next year. "Maybe Roger (Penske) will run one for him. That would be awesome for Tony Stewart to do it," Power said. "It's full of good guys now," he said. "It's the best I've seen as far as driving talent and depth."